Did you purchase a programmable thermostat and… never program it? Don’t feel bad! Current trends show that one-third of homeowners are under-utilizing their programmable thermostats (Green Builder, 2018). The good news? Energy savings are only a few clicks away and easier than ever with new smart thermostats. In 1995, a movement to programmable thermostats was sparked by a promise from the EPA that they could save 10-30% off a homes heating and cooling (ACEE, 2012). Homeowners never saw these energy savings, and in 2007 a study confirmed that the actual savings were closer to 6.2% (Gas Networks, 2007). Although the energy savings promised did not match the actual savings, programmable thermostats did save customers money. As compared to programmable thermostats, smart thermostats now offer even more potential energy savings with added features that tend to be easier to benefit from thanks to WiFi capabilities. After all these years, smart thermostats may be the tool needed to reach the energy savings promised in 1995. 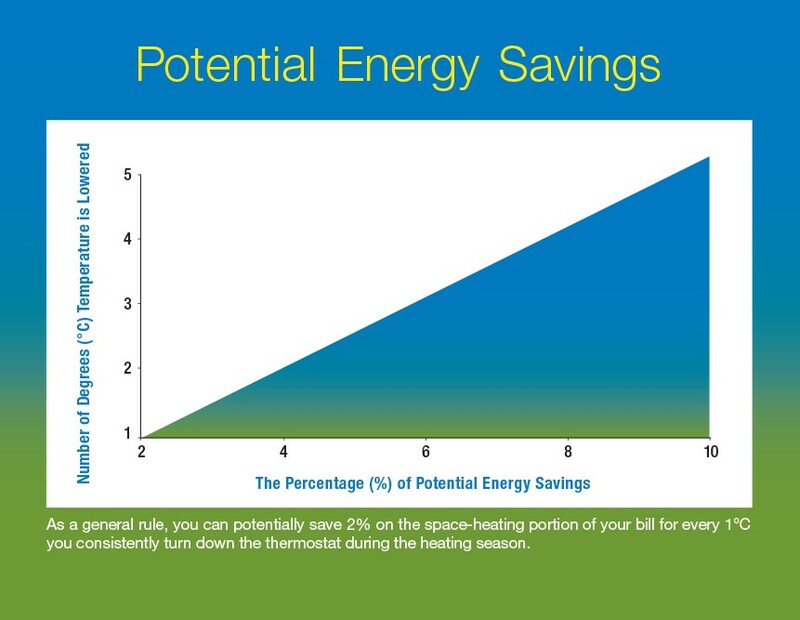 At Warmup, we are guided by a simple solution to energy savings: heat only the rooms that you are actually using. Although this seems like a simple task, many of the systems available do not have this capability because of the single control point that they provide for the entire system. In other words, no matter how advanced your thermostat, you’re still turning a furnace in the basement on and off trying to heat the entire home to the same temperature. With the Warmup system, each space has its own control allowing you to program for the needs of each room. For some people, that can mean heating your entire home and in more common situations, it can mean heating single rooms while they are in use. This can be accomplished with both programmable thermostats and smart thermostats and can cut down drastically on energy use. Why heat the whole house at 72°F when all you’re using is the home office for the majority of the day? Why increase the heat in the whole house just to get the basement above 65°F? On average 60% of energy dollars are spent on heating (Hydro One, April 2018) and by simply heating only the rooms in use you’ll be happy to see significant savings in this large spending category. If you are not using a custom program or SmartGeo™ on each thermostat unit, it’s time to start! Remember: heat only the rooms that you are actually using. For whole-house systems, use ours as a tool to program your 4iE devices or enable SmartGeo™ from MyHeating. For those of us with an unpredictable schedule, SmartGeo™ will activate your heating system based off of the location gathered from your smartphone. If you are going away for more than a day, use holiday mode as a quick tool to cut consumption. To get to holiday mode on your 4iE device select “program” from the main menu and then choose “holiday mode”. From this point select “program” in the bottom right where you will be prompted to enter the start date, end date, and desired holiday temperature. Review your energy data. Take a look at the changes in your energy consumption after you program your thermostats or activate SmartGeo™ to further evaluate the efficiency of your system. To best view, your energy consumption, log into My Warmup from a web browser and select “Energy” along the top. While the idea of cutting heating costs may seem like a daunting task, it does not have to be, and the potential energy savings could be all the motivation you need to get your thermostats programmed or upgraded. By simply setting heating schedules for each of the rooms in your home you could be on your way to long-awaited energy savings. To learn more about the features available on your thermostat download the full product manual.